His apostasy was dismissed by many health professionals in a sustained, near operatic chorus of censure. After all, he had committed the cardinal crime of suggesting that august government nutrition professors and the academic researchers who inform them had made an inexcusable error of judgment, with catastrophic consequences: an epidemic of obesity and diet-related ill-health of a magnitude that had no precedent. 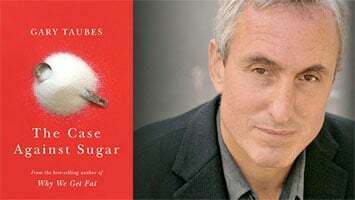 Taubes’s latest book, The Case Against Sugar, looks to be less controversial, if only because so-called guardians of public health have of late subtly re-emphasised in government eating guidelines the role of sugar as a dietary villain, adopting what Taubes calls the “we knew it all along” approach. They have yet to admit that the natural saturated fats they have long demonised, such as butter, are healthier than the highly refined liquid oils and polyunsaturated margarine spreads they continue to recommend, even though the scientific inadequacy of this advice is being steadily exposed. In Taubes’s view, major nutrition authorities “have spent the last 50 years blaming dietary fat for our ills while letting sugar off the hook”. But Taubes is like a terrier with a bone. He won’t let purveyors of this bankrupt diet paradigm get away with a bit of pragmatic sugar reduction tokenism. In order to firmly hammer the nails in the coffin of the case against sugar, he sets out to nail the lie on which it is predicated: that the tidal wave of obesity and type 2 diabetes sweeping the western world is caused by over-consumption and sedentary behaviour. This contention currently forms the bedrock of official nutrition advice worldwide. “The fundamental cause of obesity and [being] overweight is an energy imbalance between calories consumed and calories expended,” is how the WHO puts it. Custodians of public health have prescribed this “eat less/move more” doctrine for decades, to embarrassingly little effect. Taubes shows how this “energy balance” explanation of swollen waistlines draws its apparent intellectual credibility from a myth that suits the processed food industry: “There’s no bad food, only bad diets”. Using this “balanced” diet argument, big food can persuade us that we can stay healthy while eating junk daily. This is the warped thinking that allows hospital shops to stock up with fizzy drinks and assorted sweet, starchy rubbish and heap patients’ meal trays with jelly and custard. Government diet advisers can be relied upon to faithfully promote the “everything in moderation” and “a calorie is a calorie” parables, so aiding and abetting food and drink companies’ use of sugar to lend false palatability to their nutritionally degraded products. Taubes, however, argues that sugars are bad in and of themselves, that they have “a unique physiological, metabolic and endocrinological (hormonal) effect on our bodies”. For Taubes, sugar is at the root of all “the diseases of westernisation”, including cancer, even Alzheimer’s disease, which researchers now increasingly refer to as “type 3 diabetes”. “Put simply,” he writes “without these sugars in our diets, the cluster of related illnesses would be far less common than it is today”. Like many US books of its type – Nina Teicholz’s Big Fat Surprise is another – there’s a high level of detail in this volume as Taubes unpicks the history of the ubiquitous dogmas dominating diet thinking today that may send the less committed reader looking for an executive summary. But this density and thoroughness befits the scale of the task such authors face: nothing more or less than reversing an entrenched diet orthodoxy in which powerful professional reputations and corporate interests are heavily invested. Taubes isn’t the only person to challenge the facile idea that we get fat simply because we consume more calories than we expend, but his clear and persuasive argument that obesity is a hormonal disorder, switched on by sugar, is one that urgently needs wider airing. Then we can decide for ourselves whether obesity is really caused by “a perverted appetite” that leads many of us to overeat or by the food processors’ pathological appetite for profit.